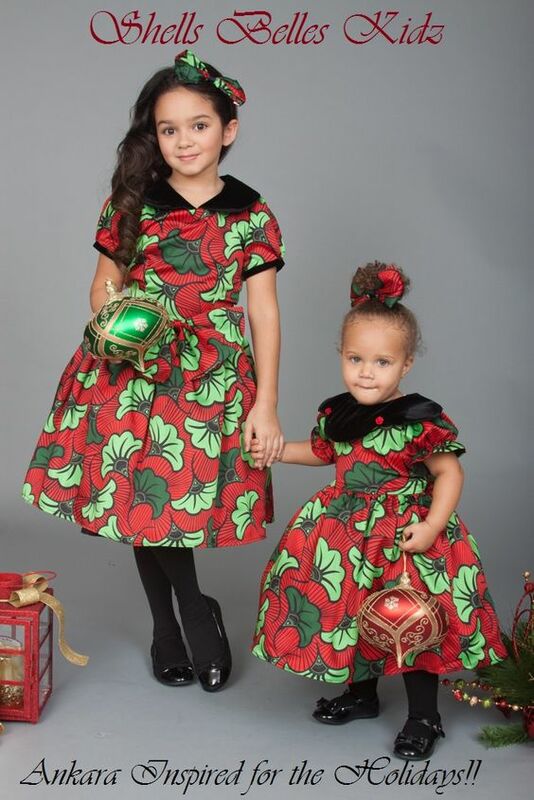 The year 2019 has brought stunning trends in kids clothing which is Ankara for kids. 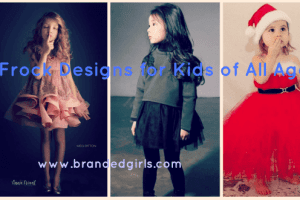 Designers have introduced some of the amazing designs for kids and we are all mesmerized by it. 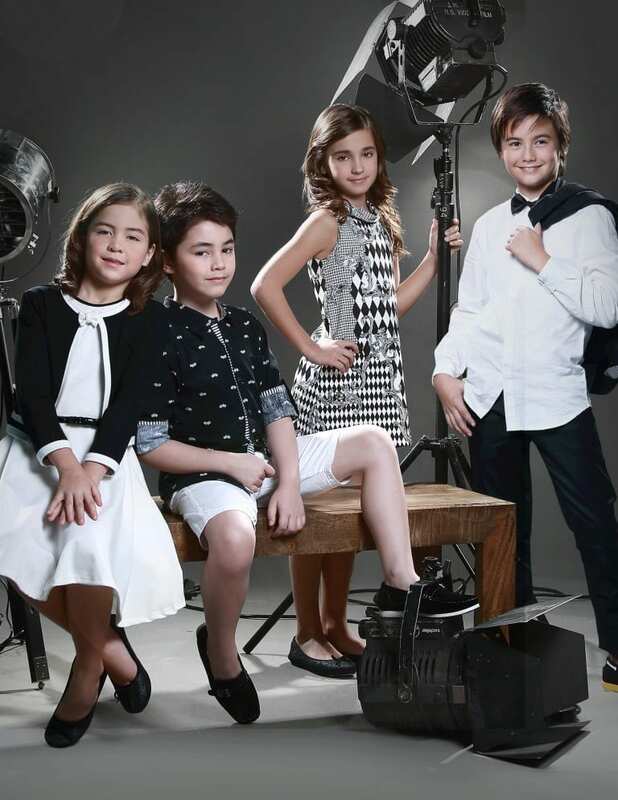 The new concept has revealed that Ankara is not only for adults. 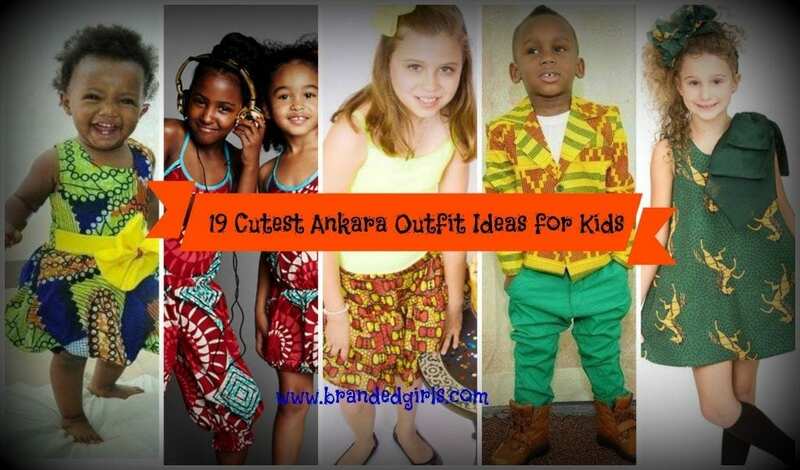 Ankaras are not meant for adults only, the kids can also rock these adorable and stylish Ankaras. The Ankara print is in vogue and you definitely don’t want your kids to be left out in this trending African fashion and style that is currently booming. There are many Ankara styles for children in the market. Ideally, the market has captured all the possible target markets. 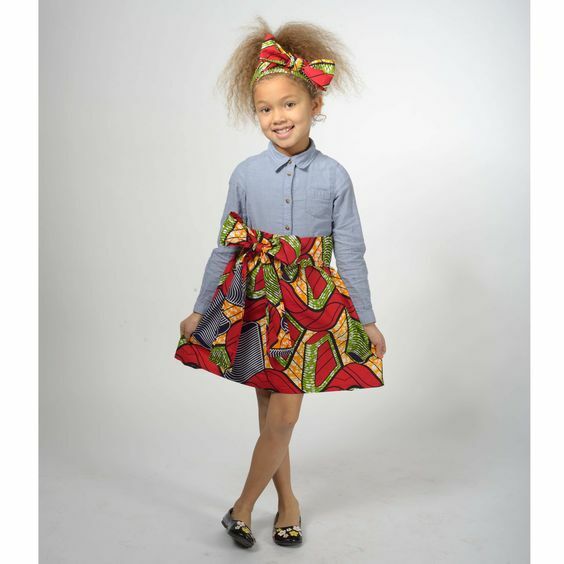 This ranges from new born Ankara kids styles, younger kids style and even those in adolescent. Of course the designs get more complex with age since there is more understanding of trend and they equally want to be kept in check. The most common ankara style is to go half way which means the shirt is made of Ankara with the trouser being of a matching single color. There are plenty of Ankara prints for the shirt such as large traditional prints or drawing. The colors can be picked according to ones choice. The girl is a replica of the mother and so is the son a replica of the father. 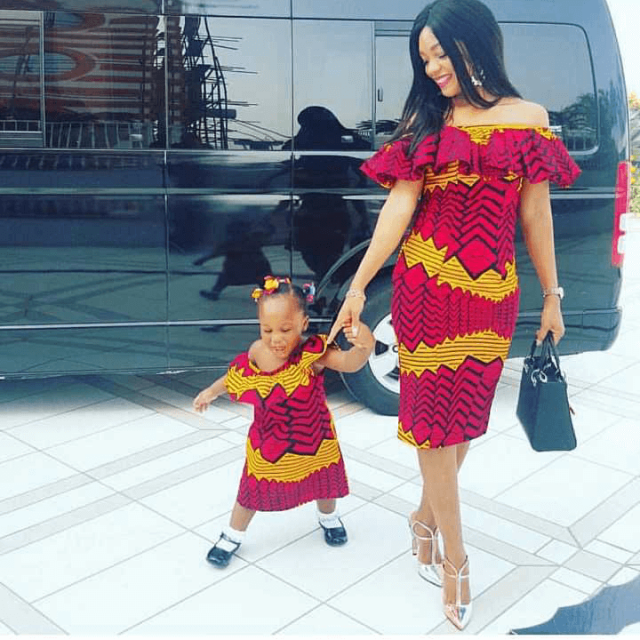 Ankara styles for mother and child are in trend these days. The mother may have a custom made dress from the Ankara fabric and she can make a similar one for her child whether it’s a boy or a girl. Some parents to do same designs while others go for different designs as long as the fabric used is the same. There are various Ankara styles for mother and child that a parent can try out. Skirt is just one of the feminine piece of cloth used in Ankara styling since the beginning. Skirts come in different designs ranging from short to long, straight to circular, along with flowered patterns to plain colored among other dimensions. 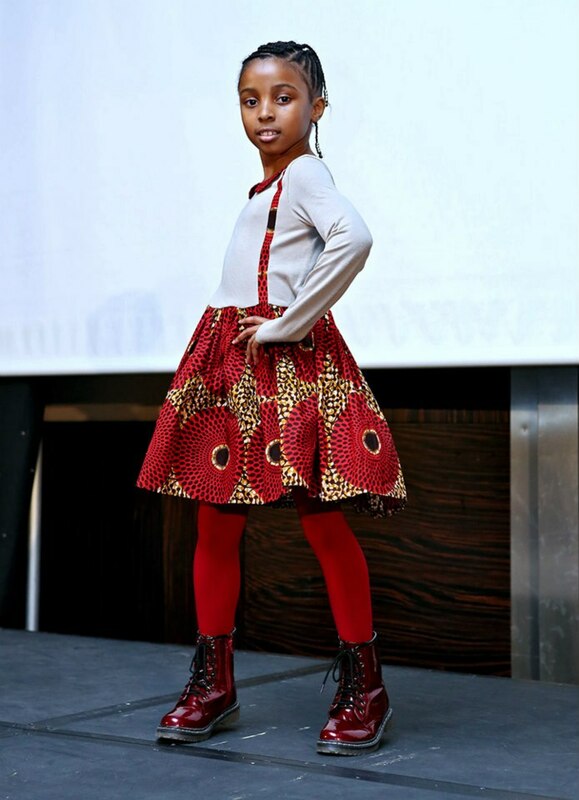 Although the Ankara styles are open to any designs for children, there is one designs that stands out well. This is the gorgeous skirt with folds and a band that is running to the shoulders and at the back to the waist band. It is suitable for babies or girls who have a little weight. Jumpsuit Ankara styles for girls is one of the coolest designs in this modern era. The little girl can rock this look. It offers a lot of flexibility and freedom. This attire is perfect for any occasion. Since summers are approaching this can also be worn at a picnic. A jumpsuit is in simple terms a combination of a top and pants turned into a single attire. It is one of those fascinating Ankara styles for girl child of any age. The most easygoing and comfortable attire for a little girl would be an Ankara top. Ankara tops can beworn with a pair of jeans or trouser. Ankara styles also have straight dresses. Although the dresses are not body con as would be expected, but they do have a good cut so they are not tight or baggy at the same time. This gives the baby the comfort she needs even while playing or walking around. It is one of the most commonly worn style in Africa. Skater dresses were originally worn by middle aged ladies. However, the trend is now expanding and it is also opted by the kids. A skater Ankara dress is circular in shape from the waist down but body con from the waist up. This kind of style make use of bright patterns that completed with baby looks is just awesome. There are various Ankara styles for girls, some are for new born to one year babies and other for under 5 and above. 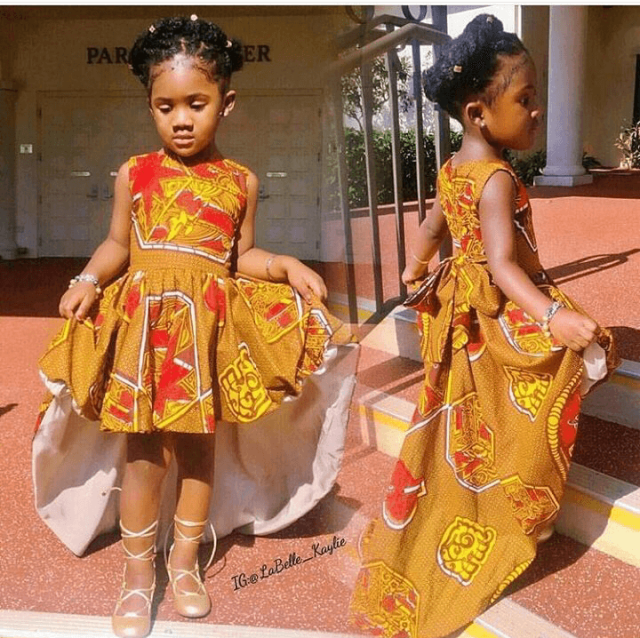 If you are a parent to a girl then here is some high end, unique and gorgeous Ankara styles for your girl child to choose from. We have put the best dress styles for girls below. The intense shades of Ankara fabric make them ideal for infants and kids. The Ankara African Prints are very eye catching. These fresh shades can be worn any day – while some are more appropriate for occasions like weddings, birthday parties etc. The clothes can be designed using entirely Ankara fabric or can be blended with dim shades for those who are not fans of such sharp colors. 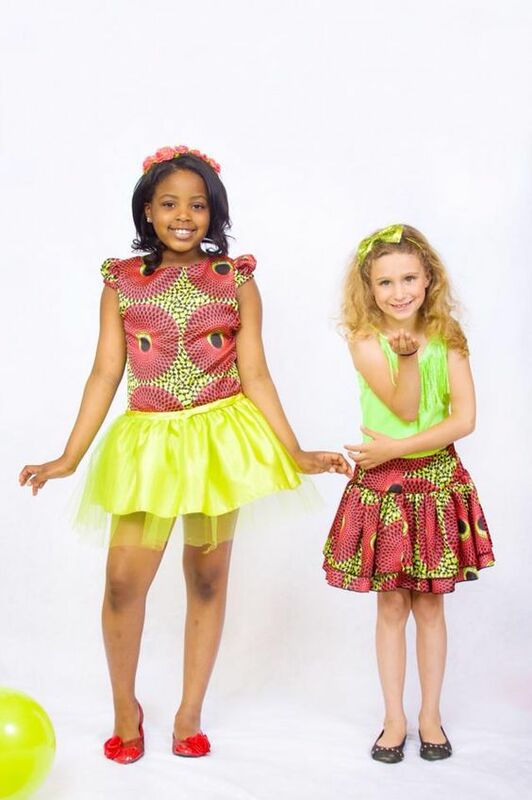 You can spice up your kids’ wardrobe with Ankara Style skirts, shirts or shorts because these striking prints are overwhelming the fashion trends nowadays. 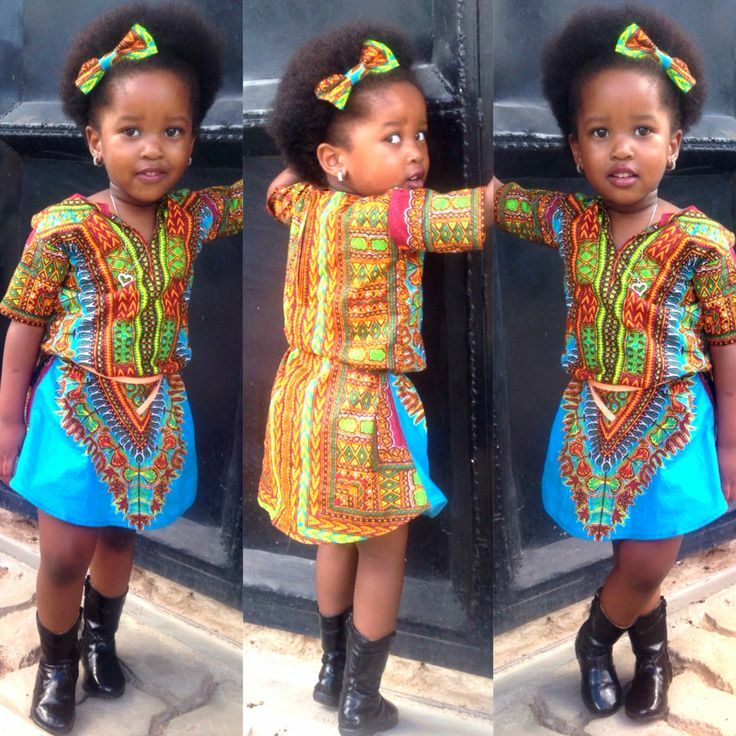 Ankara short dresses are very popular among kids wear. These cute frocks are preferable in summers specifically. Such short dresses could make heads turn especially in the local prints. Ankara fabric is so much on the high side as compared to the other fabrics. Girls aged between 8-10 can look ravishing by wearing these elegant long frocks. These long frocks are quite suitable for formal events like dinners, anniversaries etc. 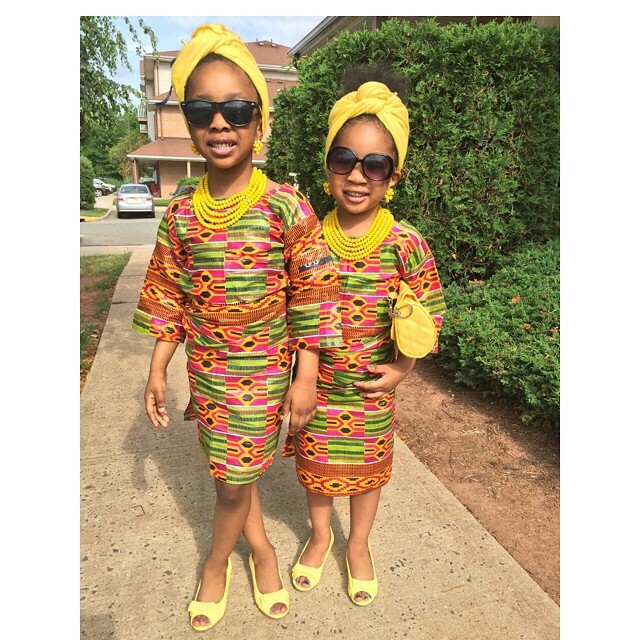 These long Ankara dresses with appropriate accessories can make your princesses look dashing. 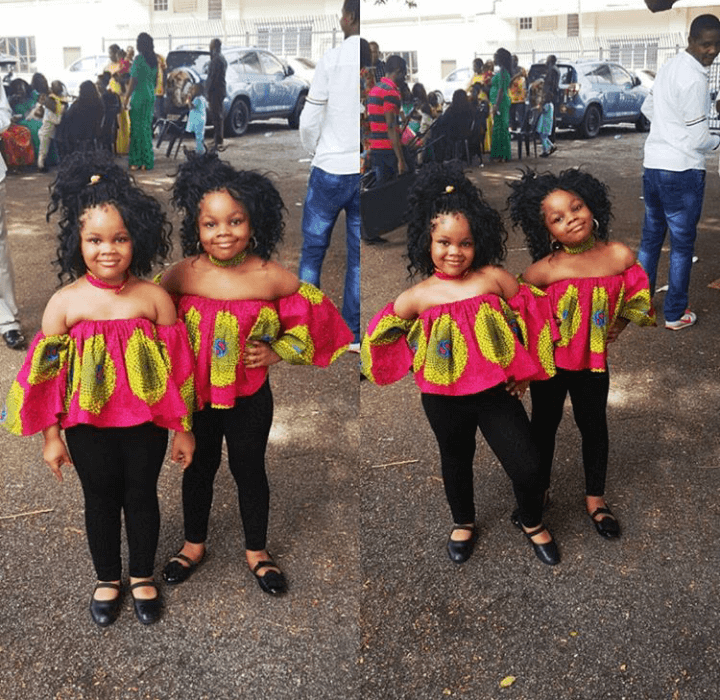 Off-shoulder tops made with Ankara fabric will definitely give your mini-me a wow look, these are extremely classy and can be worn at formal occasions. 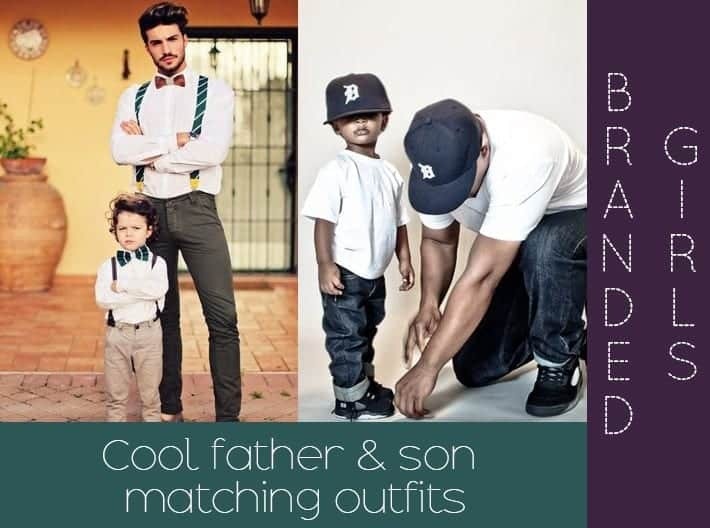 The style is so cute and chic and looks extremely beautiful on kids. 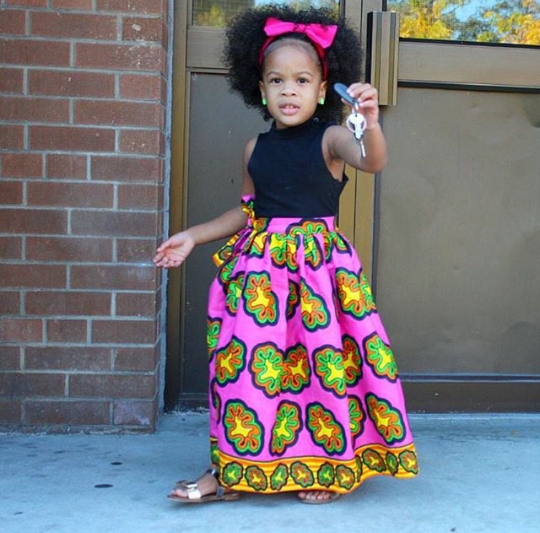 One amazing thing about this trendy Ankara maxy style is that it can be worn by kids irrespective of their age. The flair and length of this design make it easy to wear. Your mini-me will look very modest and chic in it. Glam is the adjective I use to qualify baby girls in stylish Ankara outfits because they look so beautiful and spectacular. 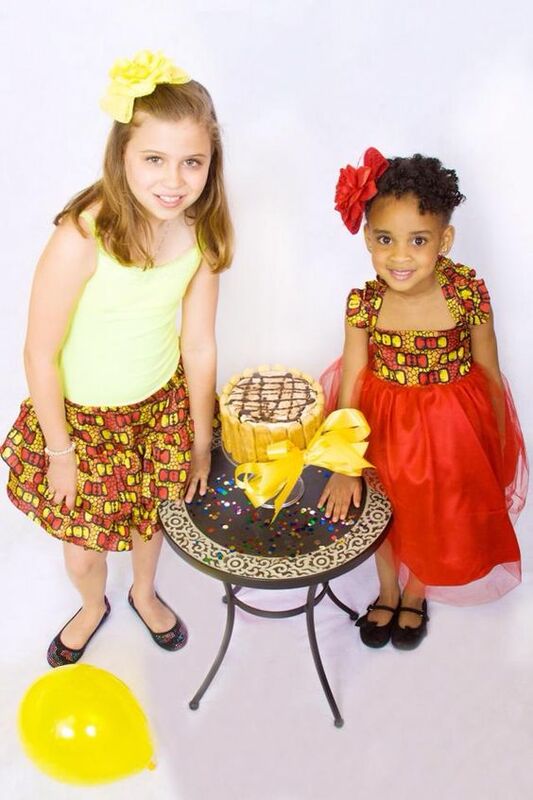 Ankara skirts and shorts blended with western tops can give your little girls a very aesthetic look. 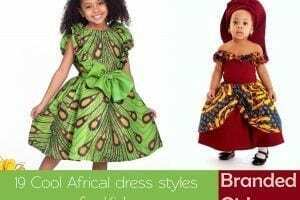 Stylish Ankara fall dresses worn with leggings and boots are perfect for your beautiful daughters to complement their beauty. Ankara frocks with plain leggings can accentuate their appearance in winters and give them a very stylish look. Using Ankara-inspired print fabrics, you can transform the original cotton using silk, chiffon or any other thin material and create a luxuriant western style dress. These dresses will look extravagant on occasions like weddings. 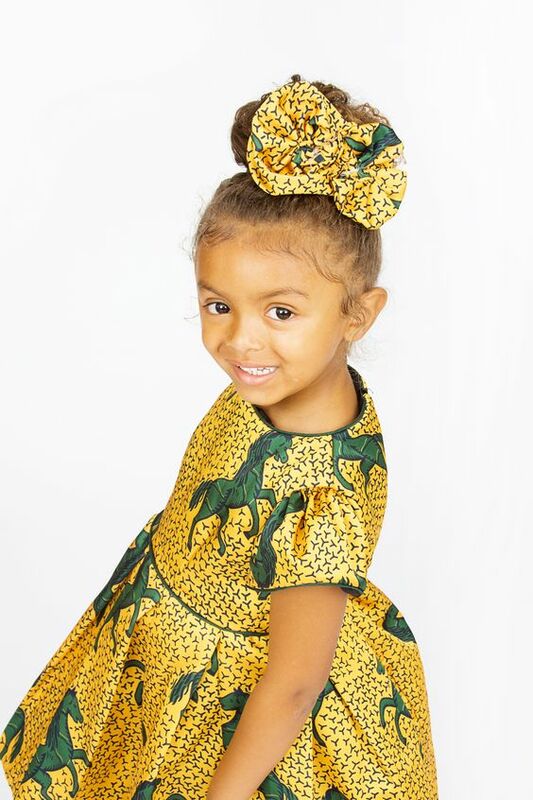 For birthdays, anniversaries, casual parties and much more, you can rock matching Ankara outfits with your princess and or with the whole family. Embrace the fashion in these enchanting Ankara dresses and I bet you both gonna look gorgeous and fabulous. 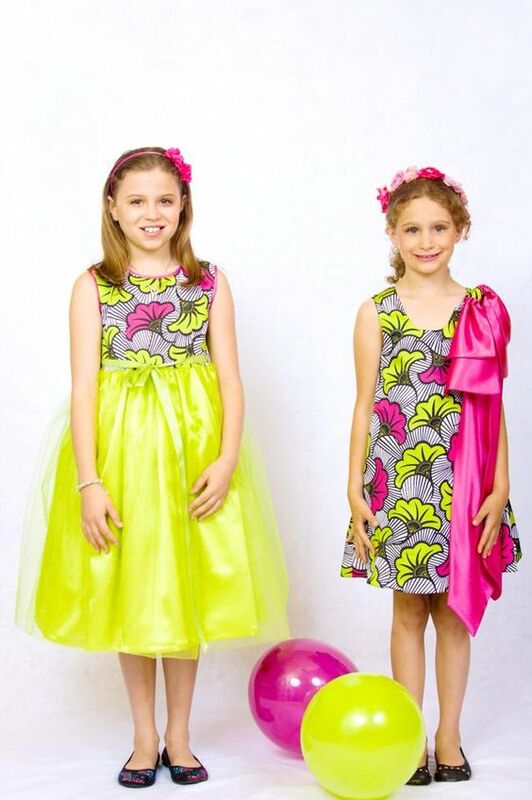 The silk and chiffon Ankara dresses are ideal for parties and social events. Just like other male fashionistas, your little boys can also slay Ankara jackets on formal events. You can also make your adorable baby boys look fantastic and dashing in these Ankara jackets, especially that which is made of Ankara fabric “winks” (for the love for Ankara though). You can highlight these fantastic Ankara dresses with not only African and Dutch braids but also with these Ankara Fabric hairbands. Side buns and high pony tails will look exceptionally adorable as well as modest on formal events. One piece of scene-stealing Ankara hairband is also a must-have for every Ankara outfit. 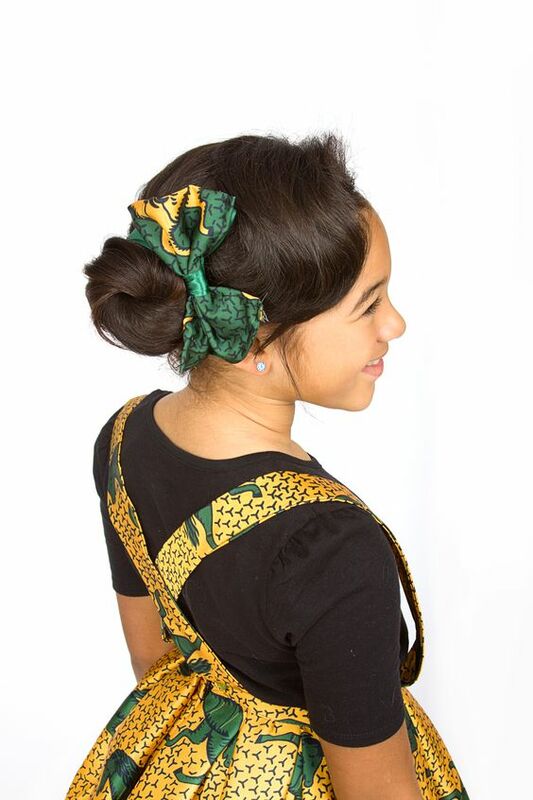 Even a sophisticated little black dress can be complimented with a unique piece of designer Ankara hairband. Even matching Ankara hairbands make little girls look super cute. Flat pumps are immensely worn with the formal Ankara maxy skirts and frocks while gladiator sandals look stunning if worn with Ankara summer dresses. However, boots will give a complete and perfect look with fall style Ankara frocks. Fashionistas all over the world are overwhelmed with this kind of Ankara art. In fact, it is kind of obvious that Ankara designs are admired so widely that they are not part of the ordinary fashion scene only. 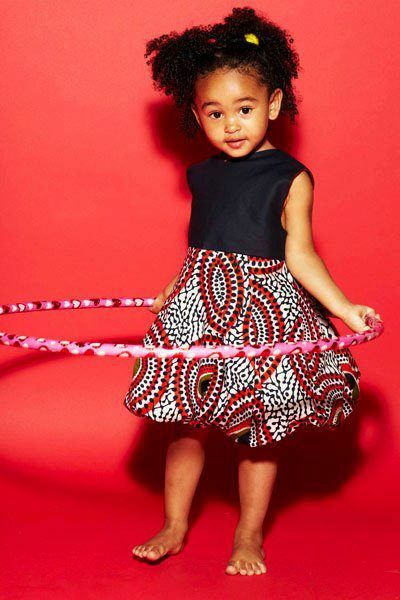 Children Ankara styles are not so sophisticated in design as those of their parents or adults. They designs range from simple to mid complex designs. 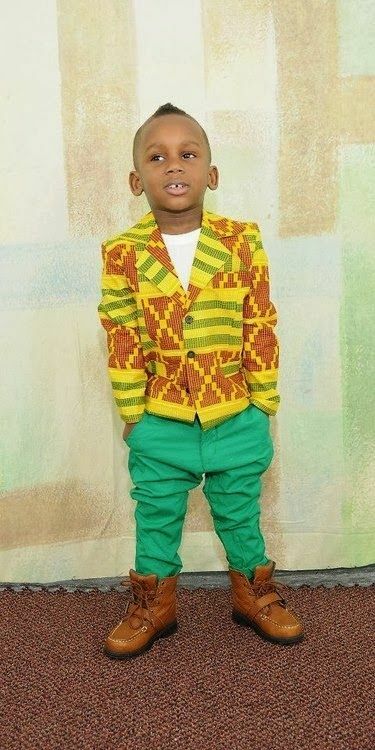 A child can rock Ankara kid style for different purposes. The length and fitting is the obvious determinant of whether it suits an occasion or not. 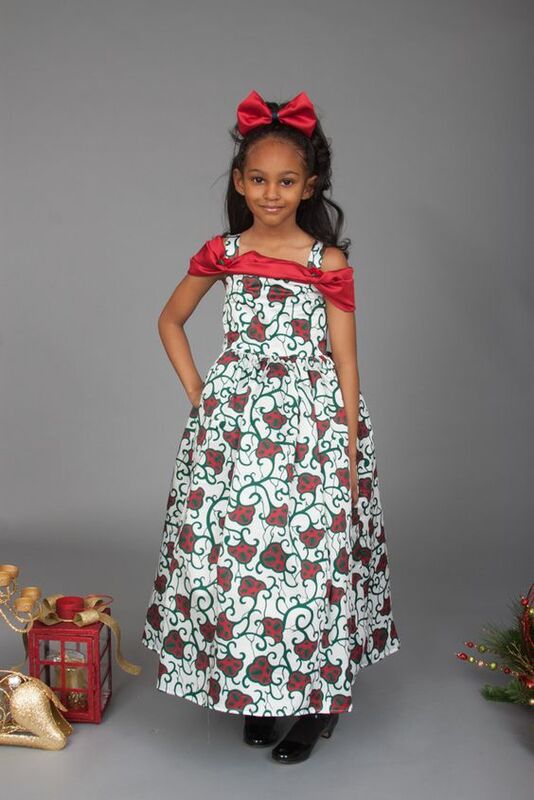 For instance if a child is to attend a wedding ceremony, an Ankara gown would do perfectly well for them. However, if the same is for an outing, this could inappropriate. I would recommend an Ankara top complimented by a pair of matching jeans trousers, or an Ankara jumpsuit. 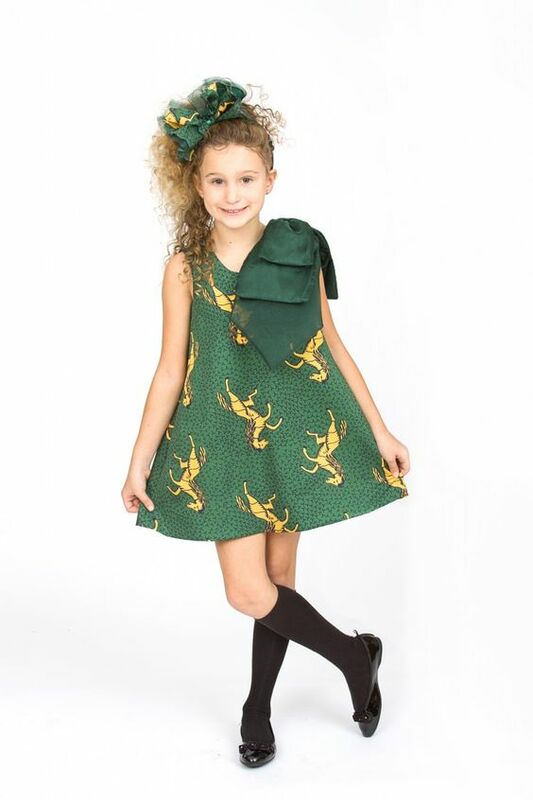 The Ankara styles for children are designed with purpose in mind that it keeps them happy and comfortable.